Lance Cpl. Troy Merrell, Echo Company, Second Battalion, 25th Marines with recovered Sumerian tablet in Shatra, Iraq. June 22, 2003. 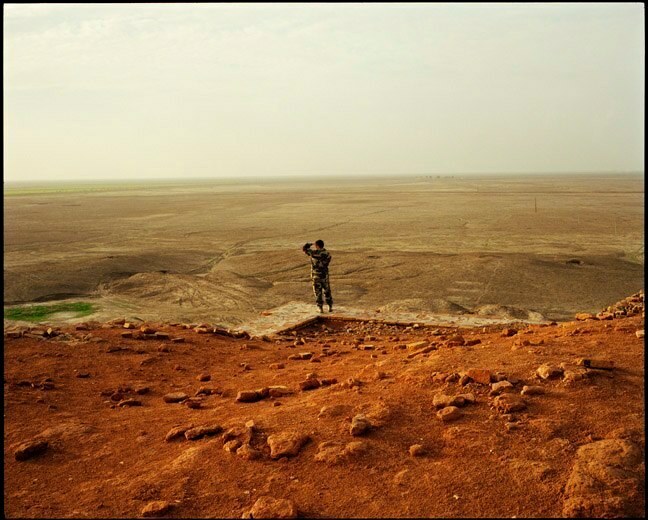 Italian soldier looks out across Mesopotamian plain from on top the Ziggurat at Ur. July, 2004. The archaeological site of Nippur, June, 2003. 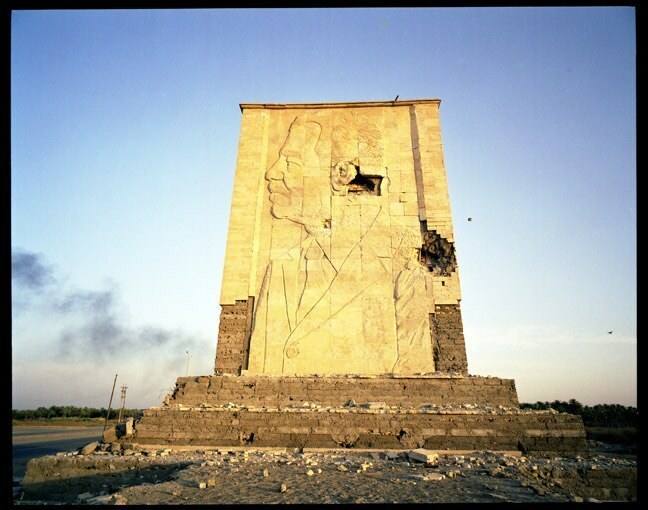 Saddam statue south of Baghdad, June, 2003. Child with down syndrome in southern Iraq. June 2003. A woman and her daughter in southern Iraq, June, 2003. Destroyed Iraqi tank. June, 2003. Palestinian girl skips rope at UNHCR camp in Baghdad. June, 2003. 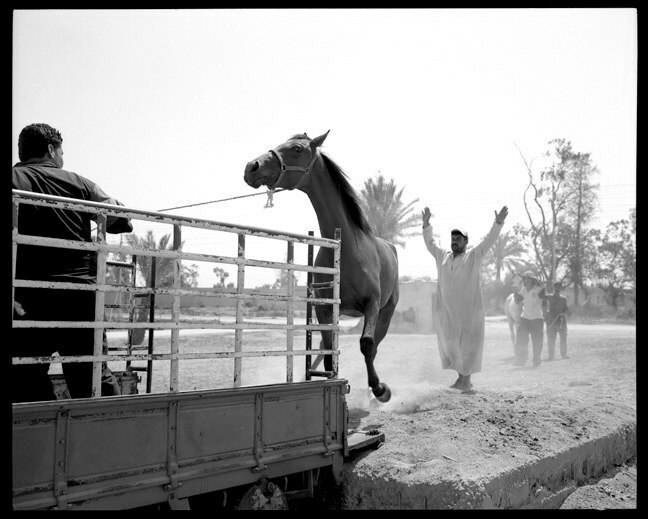 Mission to recover looted Arabian horses in Baghdad. June, 2003. US led archaeological patrol in southern Iraq. June, 2003. Archaeological civil guard in Nasariyah, May, 2004. 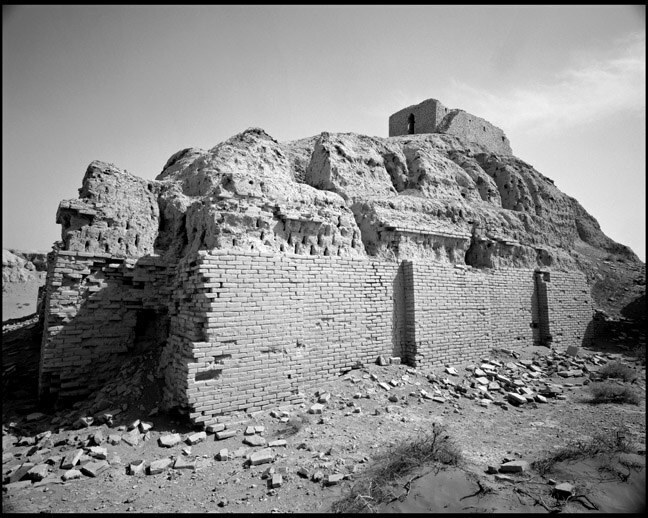 Archaeological site of Ctesiphon in Iraq, January, 2004. 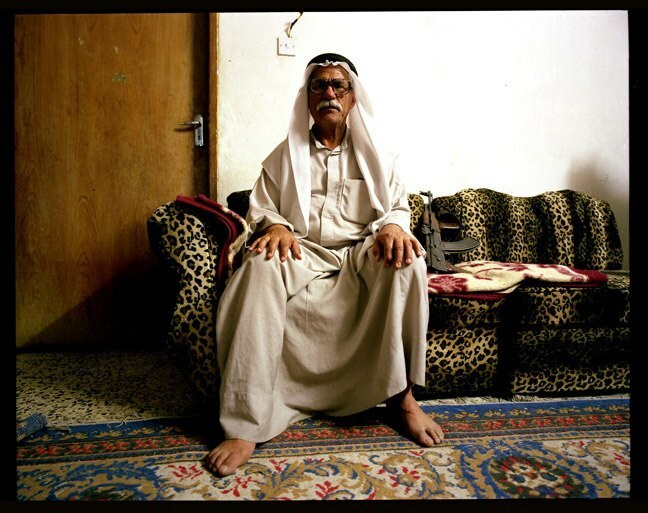 Guard for the Nasariyah museum. April, 2004. 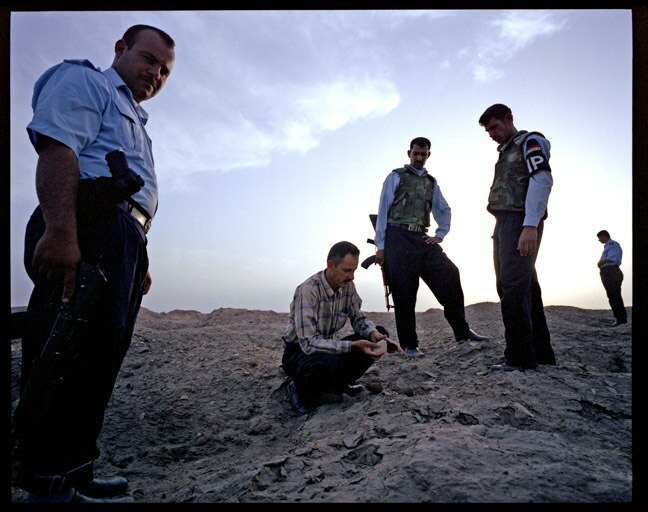 Abdul Amir Hamdani with Iraqi police inspecting looted archaeological site. May, 2004. Abdul Amir Hamdani inspecting potery shard at looted archaeological site. May, 2004. Italian helicopter patrol of archaeological sites in southern Iraq. June, 2004.